February is the one of those months that is just packed full of holiday greatness! I love incorporating all of the fun themes! 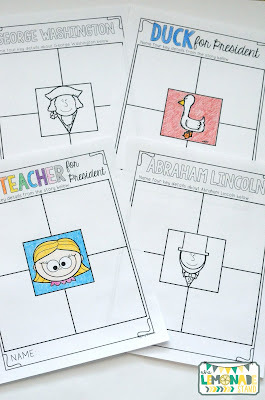 Presidents' Day is coming up very soon and I wanted to plan some fun things that I knew my students would love! 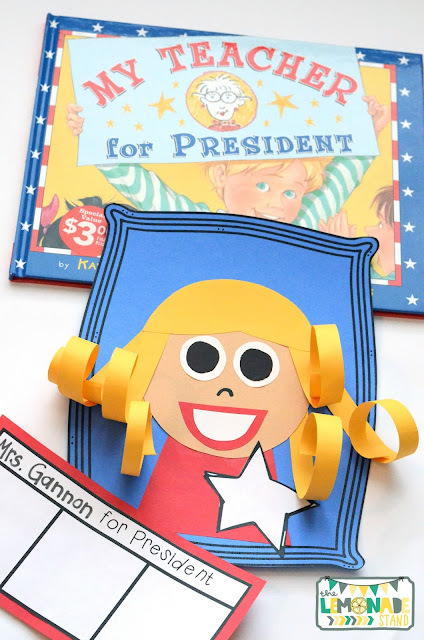 I teach kindergarten, but I have modified all of these presidential activities for first and second grades, too. We are focusing on identifying key ideas and details within the text, so that's what I decided to make the core comprehension skill in this unit. 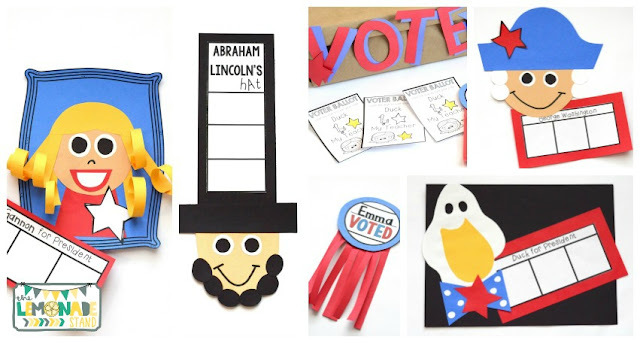 Add a few cute crafts and my favorite presidential books and we are all set! 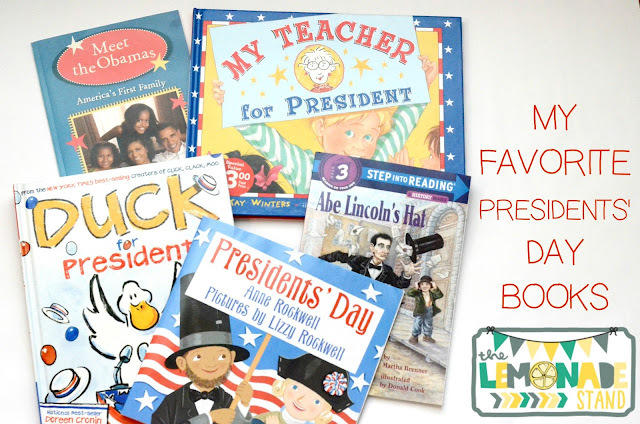 So, these are probably my top 5 Presidents' Day books. I have more that I use, but you can only fit so many in within a week. This year, I went with these for our upcoming study. I have ordered some better George Washington books this year. I have the Kindle version of them, but I think it's important to have the actual books so they aren't pictured. 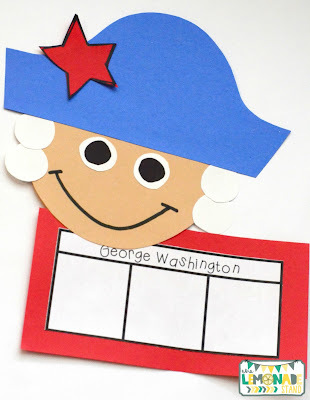 I love George Washington and the General's Dog by Frank Murphy and The First President by Baby Professor for kindergarten. The ones I had on hand were a little to long for them. We are doing our Presidents' Day unit the week of the holiday, so it's only a four-day week. I will have to cram two days into one. Day One will go pretty quickly so I will read this book as an intro and students will register to vote in our classroom election later in the week. This book is ADORABLE! If you don't have it, order it NOW from Scholastic. It's super cute! 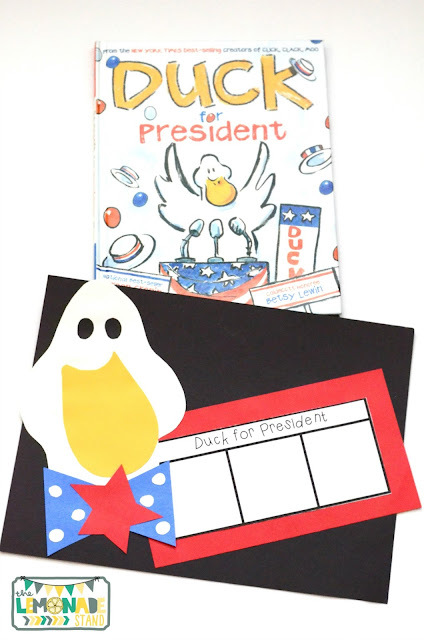 Duck will be the second candidate in our election for President. This book is just hysterical and never gets old. They will also be recording key details from the text and recording reasons to vote for Duck. This craft is just darling, and I know they will love it! The last time we made Duck at Christmas, they giggled throughout the entire thing. They were so excited when it was completed. I have already told you about the George Washington books that we will be using, but I will also be showing a BrainPop JR. video. I'll do the same with Abraham Lincoln. 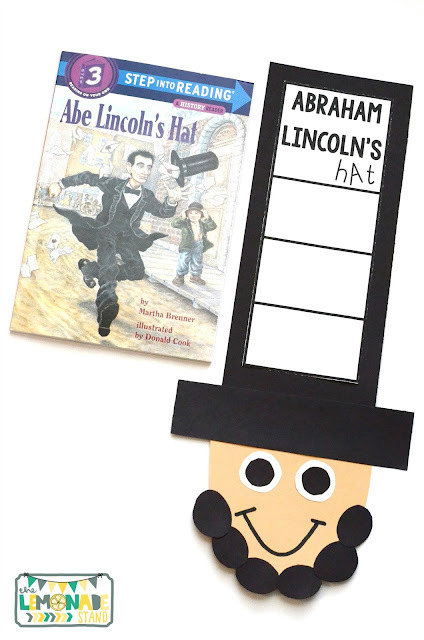 This book about Abe Lincoln's Hat is really good! I did not know all of the history about his famous hat until I read this story. It's very interesting and all of the accounts are true. It's a perfect book for identifying key ideas and details. I am a firm believer in keeping your graphic organizers consistent. Students will start internalizing these while reading if you use the same ones enough within a skill. I came up with this one for identifying details to start getting kids ready for main ideas and details, since that is such a huge skill! 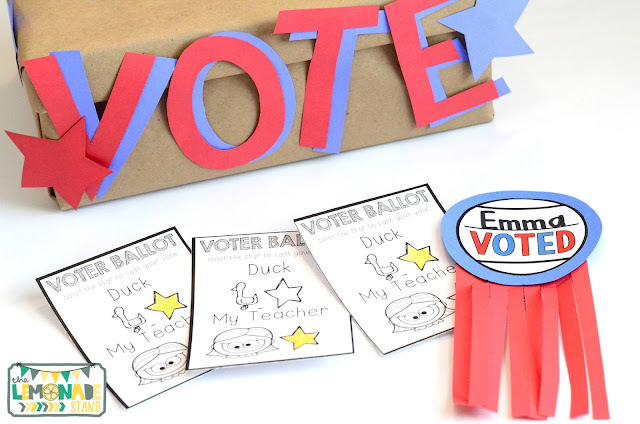 At the end of the unit, students will cast their vote for their teacher or for Duck. I made a new ballot box this year. It's just a shoe box wrapped in craft paper. I included templates for the letters and stars in the pack so you could make your own. 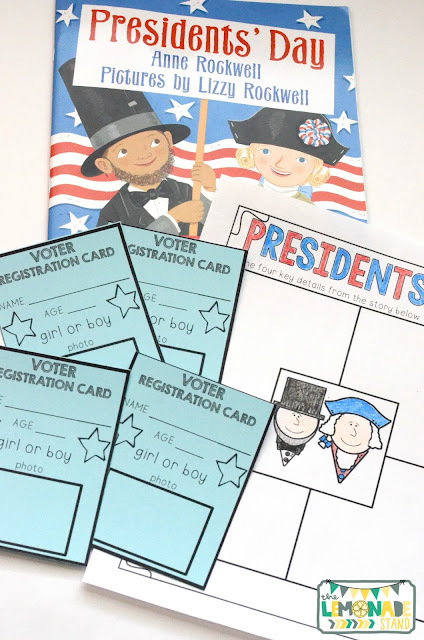 I also tried to make the ballots very simple for our young voters. 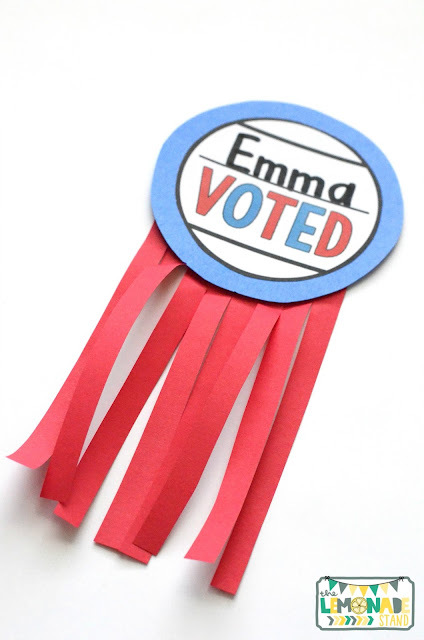 After students vote, instead of getting a sticker, they get to make these fun buttons! It's just paper, but they turned out so cute. I usually attach stuff to kids' shirts with a paper clip. But if you want to get fancy, you could hot glue one of those pins to the back of it. 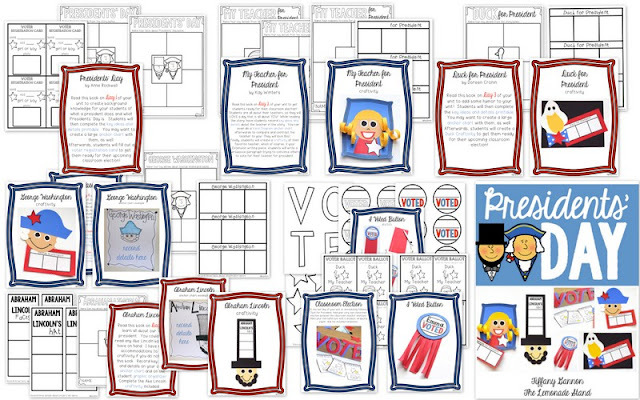 Here is everything that is included in the Presidents' Day ELA unit below. But I am also throwing in a FREEBIE for everyone! Keep scrolling! 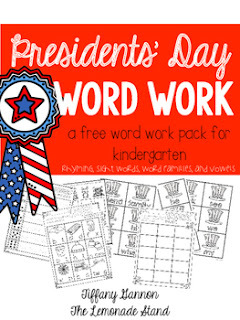 We need some practice during our word work time with a few previous skills, so I created a freebie no prep pack for that week. You can grab it below. 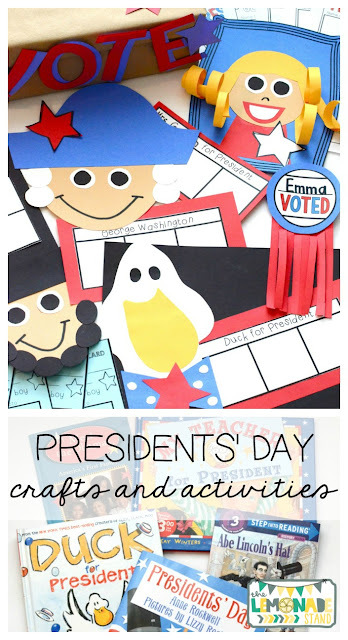 Pleased to see these interesting president’s day activities. These crafts are way too amazing. Could have never thought of such ideas. I teach at a Phoenix kindergarten and would be my pleasure teaching kids how to make these things.